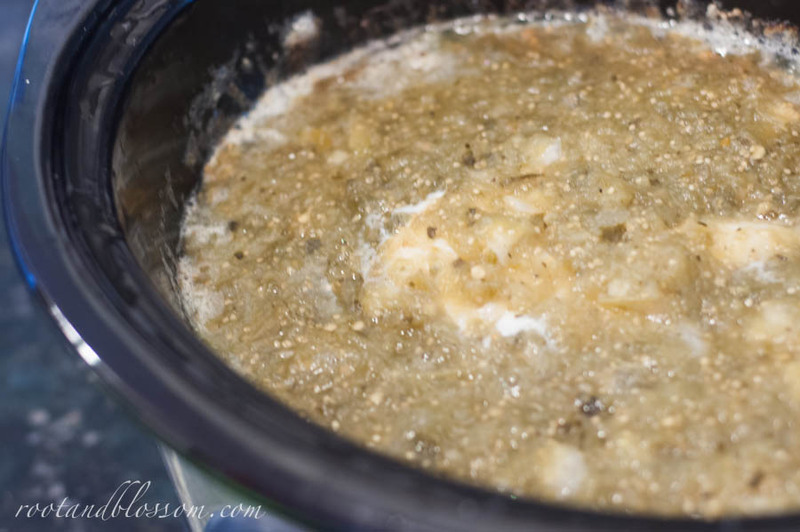 I cannot even remember the last time I posted a dinner recipe, remember when I used to post one crock pot recipe a week? Yeah I think that was pushing two years ago so if you don't remember, no hard feelings. 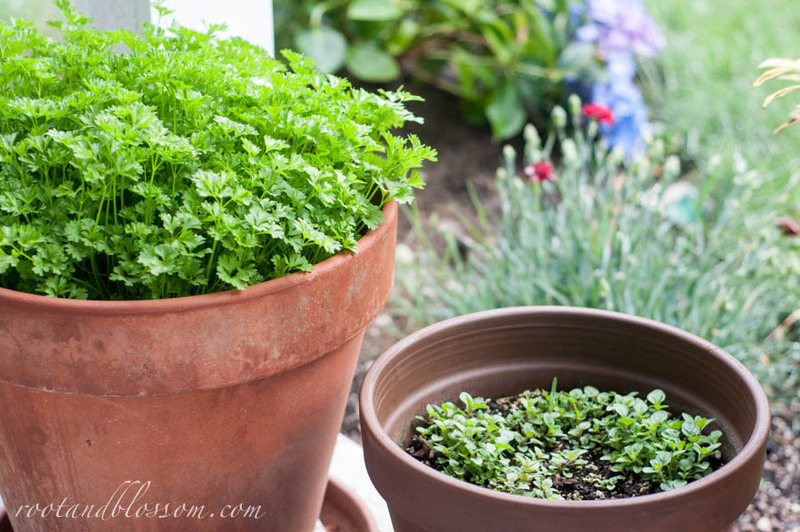 I planted many herbs and vegetables when we got home from Japan and though everything almost everything has started to thrive (replanted some stuff), nothing holds a candle to my large terra-cotta pot of cilantro, I mean WOW! Ironically I've never cooked much with cilantro so the fact that I picked the biggest pot to plant it in doesn't make sense; chalk that one up to pregnancy brain. However, since I now have so much I've been challenged to get creative and explore some new recipes and flavors! It appears that cilantro is most often used in Mexican flare dishes which thankfully has not made it onto my food aversion list the entirety of this pregnancy, SCORE! The weather has been so hot recently (okay so like in the 80's which really isn't that hot but when you live on the Olympic Peninsula in Washington State and are ridiculously pregnant it might as well be 150') but today was a beautiful cool and misty day. Oh it was wonderfully glorious to cuddle up in a sweatshirt and a blanket and there is no better way to end one of those days than with a nice warm and hearty bowl of soup. 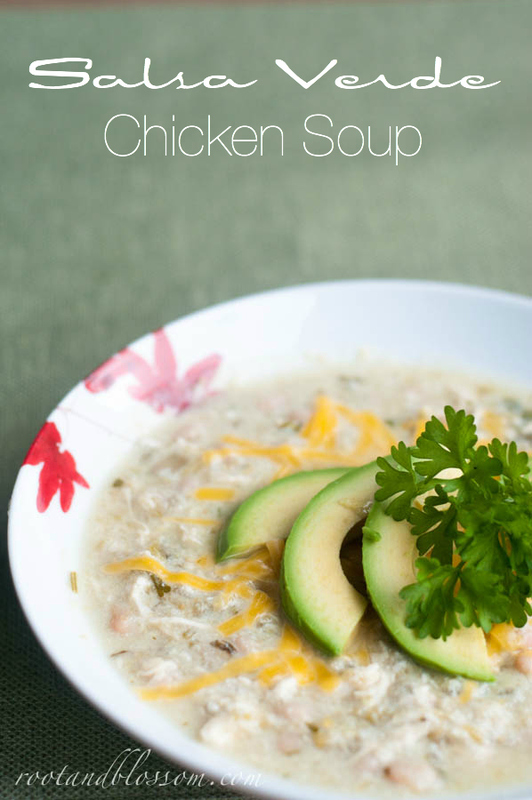 Just as ironic as the large pot of the cilantro is, I've been avoiding cooking for the last week because I didn't want to heat up the house, however it wasn't until it was cold outside that I didn't use the oven since I made this soup (as previously stated) in the crock pot. Why does cooking a meal that is meant for cold weather use a cooking mean that doesn't produce a lot of heat in the house? Dice onion and green pepper. 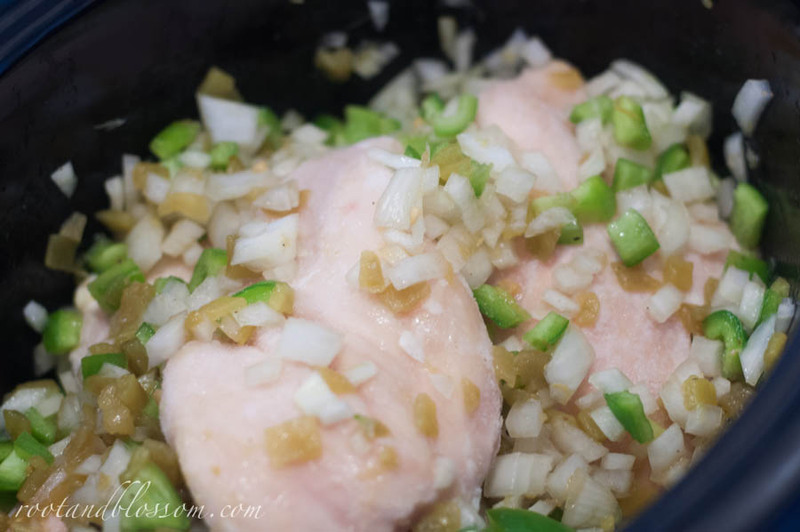 Place frozen chicken breasts on the bottom of a crock pot. 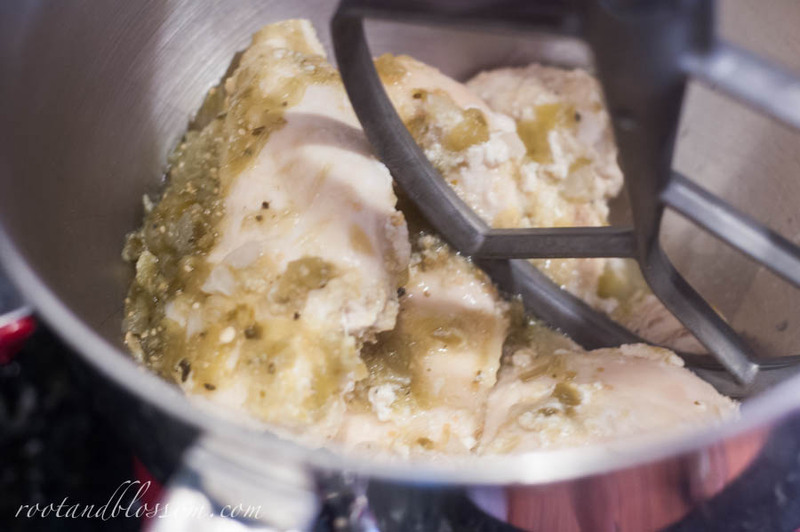 Place onions, green peppers, green chilies, and salsa on top of chicken breasts and cook on low for 5 hours. 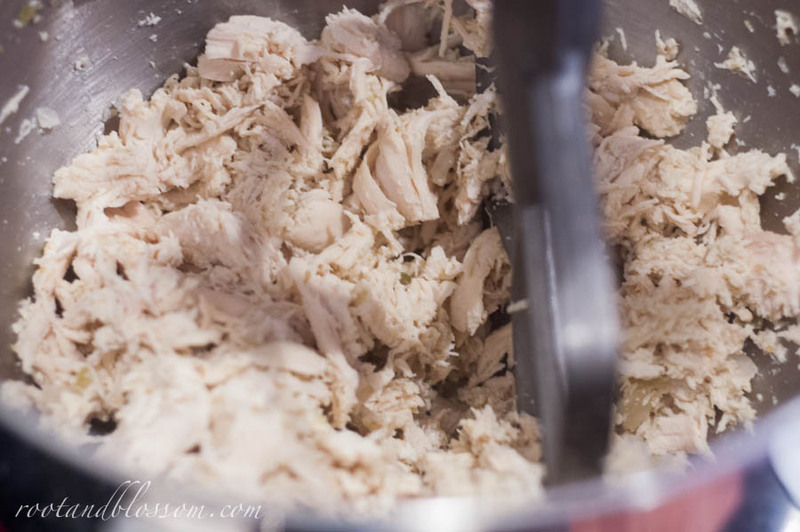 Once chicken is cooked either shredded it with forks or my personal favorite method, in my kitchen aid! Seriously, it only takes a matter of seconds! 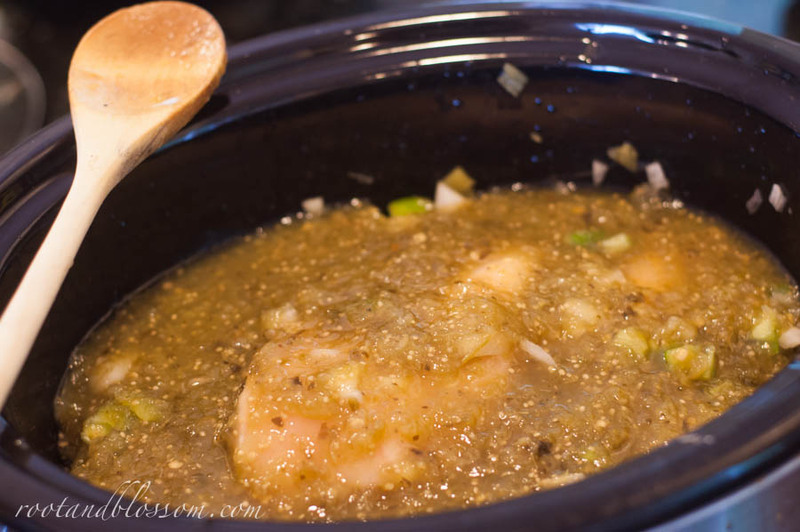 Return chicken to the crock pot then mix in beans, cilantro, and Greek yogurt. Heat through and serve with toppings! Try not to eat the whole pot in one evening so you can enjoy it again tomorrow. Honestly, it was so hard to cut myself off! 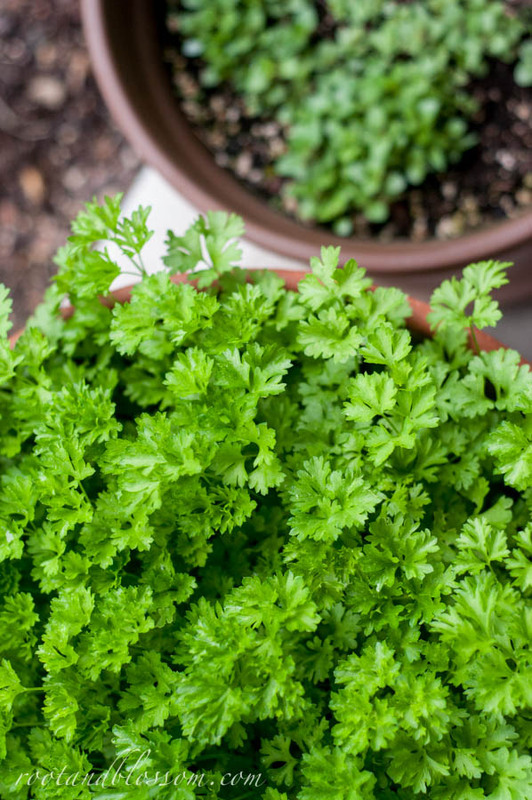 What are some of your favorite cilantro recipes? 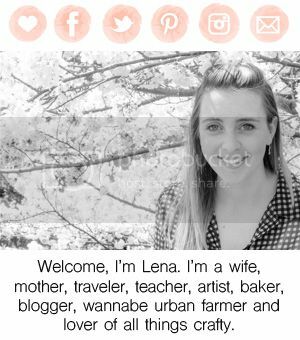 Love your new blog look! Also, I need to come raid your cilantro plant! I hope it survived the rain!